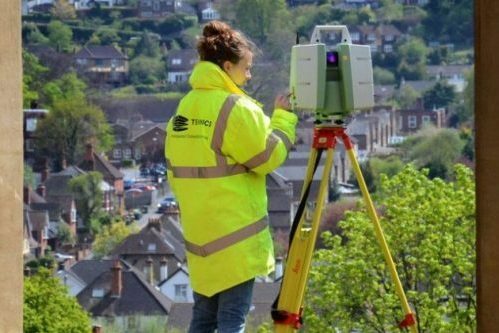 Geospatial Surveyors, Technics use the StaySafe app to protect their employees when they are working alone. Technics employs 48 full-time surveyors as well as freelancers who work all over the UK and abroad. The bulk of their work is land surveys, measured building surveys and utility locations – often in remote areas. Advancements in technology within the survey industry led to an increased number of employees attending jobs alone and so Technics felt they needed a way to monitor their safety. John Macintyre, MD, Technics explains; “surveying used to be a two-man operation but now, due to our continual investment in the latest technology, we are using robotic survey instruments. Many jobs have now become a one-man operation, leaving us with a safety issue as people are regularly working alone in potentially hazardous environments. Concerns were also being expressed by some of our people and, as a responsible employer, we knew we needed to implement a solution that would help to keep them safe”. “The whole system is simple to use and the team were impressed with the range of features. This gave us great confidence in the app and now all our surveyors are using it”.